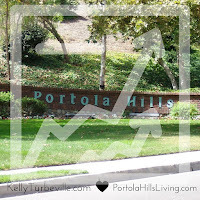 PORTOLA HILLS LIVING by Kelly Turbeville: These homes in Portola Hils are a steal... Run don't walk! These homes in Portola Hils are a steal... Run don't walk! As a Realtor you would expect me to know what homes are great deals and today I came across three in Portola Hills that are just that! Actually they are steals.. If you are looking to make a move to a larger home in a great neighborhood then make sure to check out two of these homes. 4 Bedroom / 3 Bath 2900 square foot JM Peters home. 2900+ Square feet at a price per square foot of $295. 4 Bedroom / 4 Bath 3100+ Square feet at a price per square foot of $281. Below is a quick look at the price per square foot of the most recent sales this year. Portola Hills Price Per Square foot. The third home is a perfect home for a first time buyer or investor looking to rent. 2 Bedroom/1 Bath Condo priced below $300,000! The median price of condo in Portola Hills last month was $436,000. Don't hesitate to contact Kelly to find out more details on these hot buys and to schedule a showing. Hurry I don't expect they will be on the market much longer.